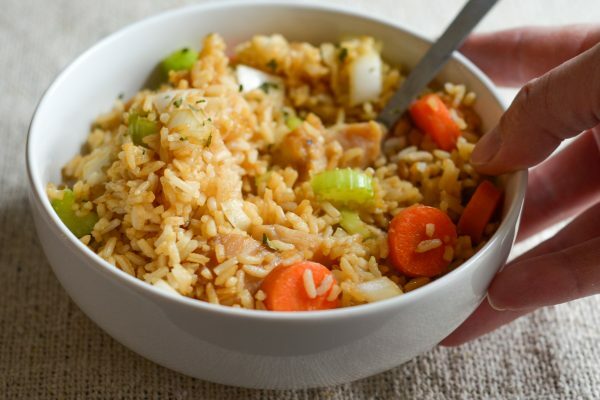 Enjoy a delicious meal today with Gluten Free Air Fryer Chicken Fried Rice! We all know how much I love my air fryer, don’t we? It’s even better as we head into the new year looking for recipes that are better for you too. One thing that I was anxious to try in the air fryer was an air fryer fried rice recipe. 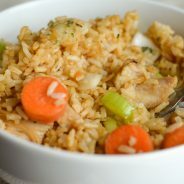 I decided to adapt my own Gluten Free Chicken Fried Rice and use it to make Air Fryer Chicken Fried Rice. 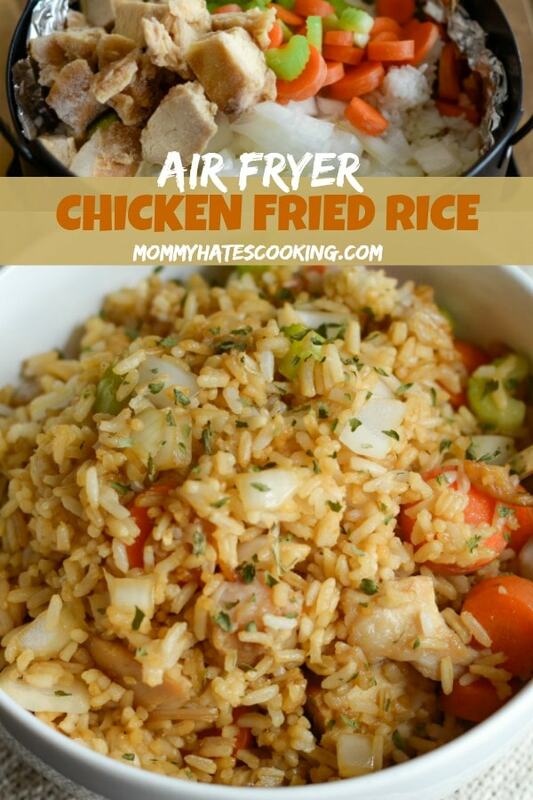 This is such a great way to make air fryer fried rice. The first thing I did was head to Walmart to pick up the chicken. 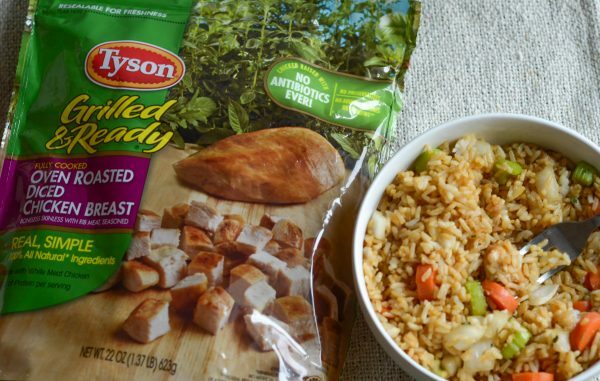 My go-to for my chicken fried rice recipes is Tyson® Grilled & Ready® Fully Cooked Oven Roasted Diced Chicken Breast. I actually keep Tyson Grilled & Ready Fully Cooked Oven Roasted Diced Chicken Breast on hand at all times because I love a good Caesar salad with it too. It’s such a great way to make a tasty meal in mere minutes. Did you know that the chicken has 19g of protein in it? That’s right! It’s a great nutritional addition to your mealtime too, plus its 100% all natural, made with white meat chicken. There are no antibiotics ever in it. It’s easy to find in the freezer section of Walmart. Now once we get the chicken, it’s time to talk about this Gluten Free Air Fryer Chicken Fried Rice. 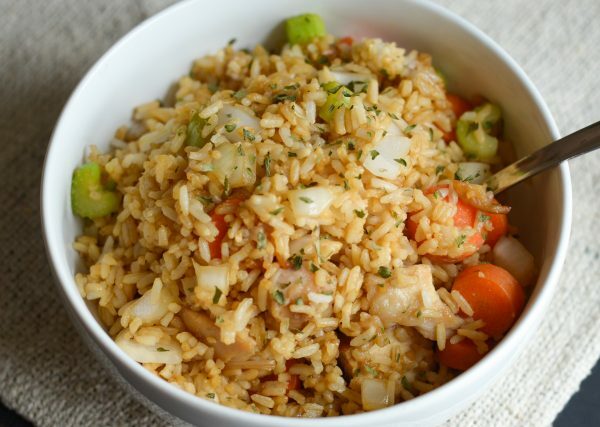 First off, this is so simple to make and it’s such a great “better for you” option if you long for that fried rice. This recipe has barely any oil! Not only that but I use a coconut oil spray. 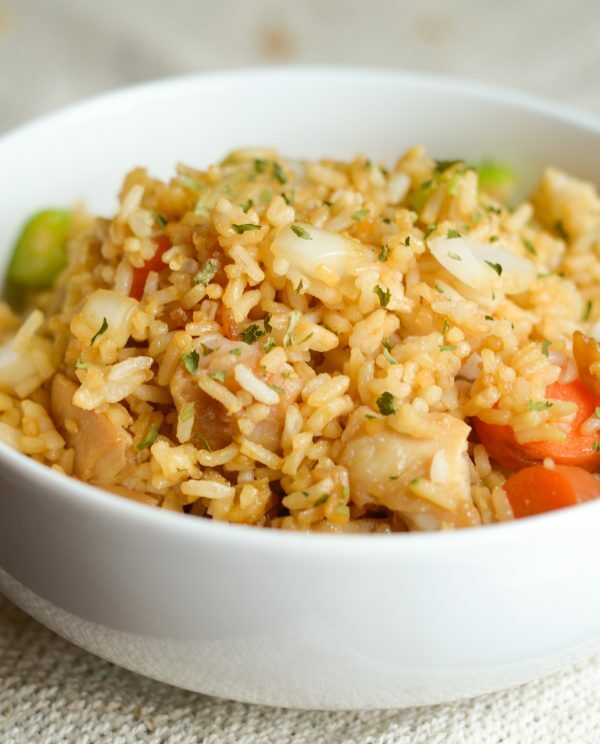 What do you need for Air Fryer Chicken Fried Rice? Most of these items will be readily available in your pantry or freezer. We like to keep these on hand for a quick meal during the week. Once you have them all ready to go it’s time to make Air Fryer Chicken Fried Rice. When using an air fryer, it’s always a good idea to have a good cooking spray on hand. This is typically needed to replace using oil in a recipe. 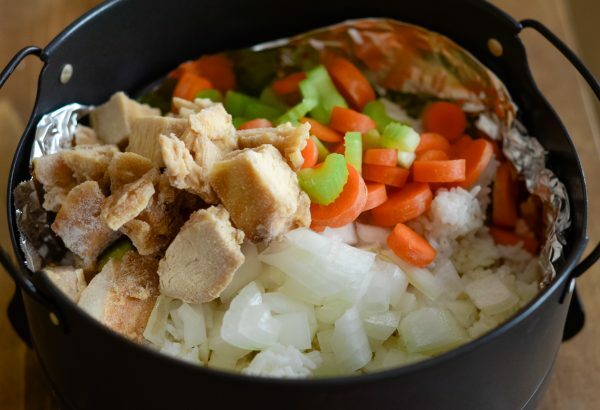 When making Air Fryer Chicken Fried Rice, I prefer to use a coconut oil cooking spray. This will give a great flavor, plus allow the rice to stay nice and soft without drying out. I highly recommend lining the air fryer basket with foil before making this as well. It makes for quick clean-up, plus any rice or liquid stays on top and doesn’t go down into your air fryer pan. The next thing to keep in mind is everyone is different when it comes to taste. I start this recipe with 4 Tbsp of gluten free soy sauce, but sometimes I end up using 6 Tbsp. If you prefer more, you can add it individually when you are serving. My husband and I are used to minimal salt, so we prefer to stop at 6 Tbsp. for this recipe. Keep in mind too that when I say 6 Tbsp. of soy sauce, we are using 4 cups of rice. This recipe will easily serve 4 people. 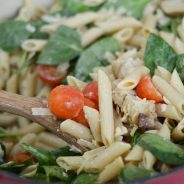 The most important tip is that using Tyson Grilled & Ready Fully Cooked Oven Roasted Diced Chicken Breast is essential in this recipe because the chicken is already cooked. This means you avoid any cross contamination and it literally only takes 10 minutes to make Air Fryer Chicken Fried Rice. As we head into this new year, I have no doubt that many will be using their air fryer. It truly is a great way to enjoy some of the foods you love without all the unnecessary oils and fats. 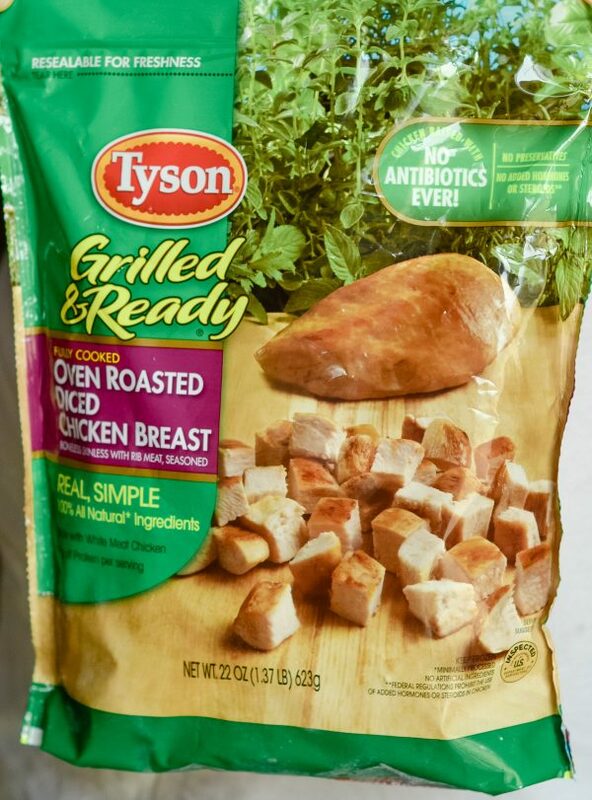 That also means that I’ll be keeping even more Tyson Grilled & Ready Fully Cooked Oven Roasted Diced Chicken Breast on hand because it’s so easy to add to meals using the air fryer. Air Fryer Chicken Alfredo Spaghetti Squash with Tyson Grilled & Ready Fully Cooked Oven Roasted Diced Chicken Breast. I’ll be sharing that one soon! 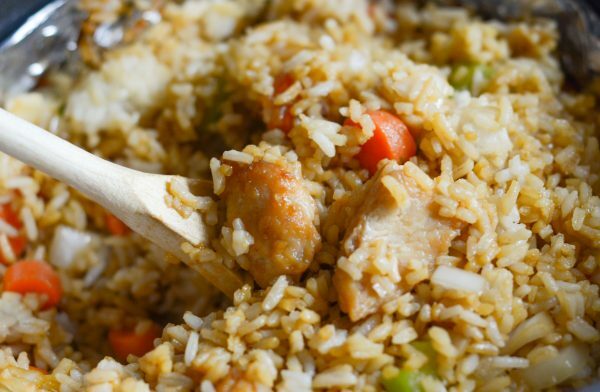 Enjoy this Gluten Free Air Fryer Chicken Fried Rice. Be sure to grab the Ibotta deal before you head out so that you can save! 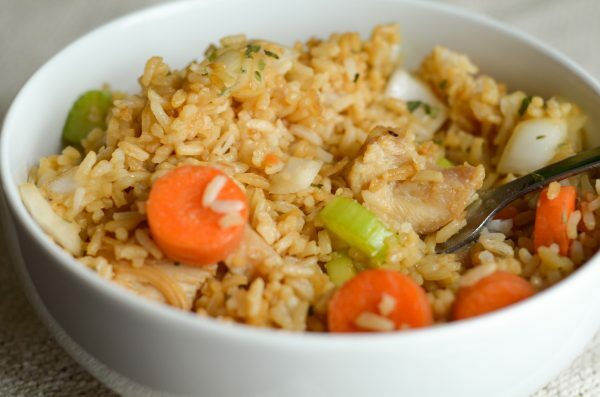 Make this delicious Gluten Free Air Fryer Chicken Fried Rice in just 10 minutes! Line the air fryer basket with foil. Remember not to cover the entire basket to be sure air is still able to flow. I typically roll it up on the side. Spray the foil with the coconut oil spray. Add all ingredients in order on top of the foil in the basket. Stir to mix together and add a nice coat of coconut oil spray to the top of the mixture. Cook in the air fryer on 390* for 5 minutes. 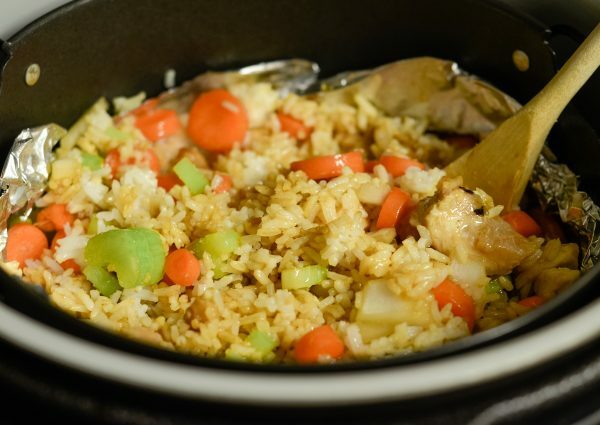 Carefully open and stir up the rice and mixture again, adding an additional coat of spray or soy sauce if needed. Continue cooking for an additional 5 minutes at 390*. Remember that many times air fryers work differently, so if needed add a little bit longer or shorter cook time. 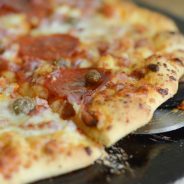 Checking it at 5 minutes will help you determine if yours needs to cook an additional 5 minutes. A cooked, beaten egg is also a nice mix in for this Air Fryer Chicken Fried Rice. I’m so glad to hear that. The chicken is so yummy too! I def love making recipes like this in the air fryer. Can you cook rice(uncooked yellow rice)in the ape fryer? If so how? Thanks!! I have never done uncooked rice in the air fryer, I know you can cook it in an instant pot/pressure cooker but I haven’t seen it done in the air fryer.